Born in North Oxford, Massachusetts, Barton discovered her life’s work when, beginning at age 11, she nursed her brother through a two-year convalescence from injuries sustained in a bad fall. During the Civil War, she persuaded the military establishment to allow her to work as a battlefield nurse. 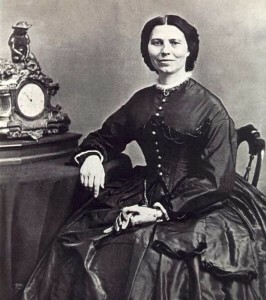 The soldiers called her the “Angel of the battlefield.” In 1870, while touring Europe, Barton became involved in the International Red Cross movement and, on her return to the United States in 1873, worked toward creating an American Red Cross, which she founded in 1877.